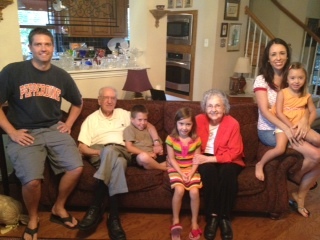 We enjoyed spending some time with Ben’s Grandad Max and Opal. They are the sweetest couple ever! 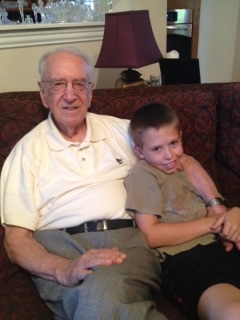 Carter wanted to be right up under Grandad Max’s arm all night…my little snuggle bug! 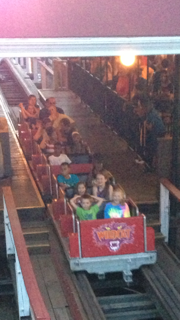 While we were in Oklahoma for the 4th, my mom and Robert took all of us to Frontier City Amusement Park. 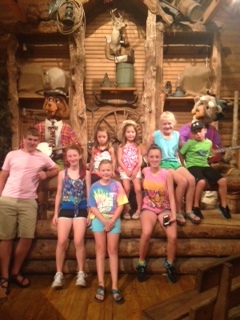 I hadn’t been there in 20 years…we all had a BLAST!! 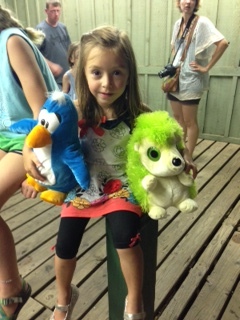 While the big kids were riding roller coasters…little missy was playing games and winning prizes! 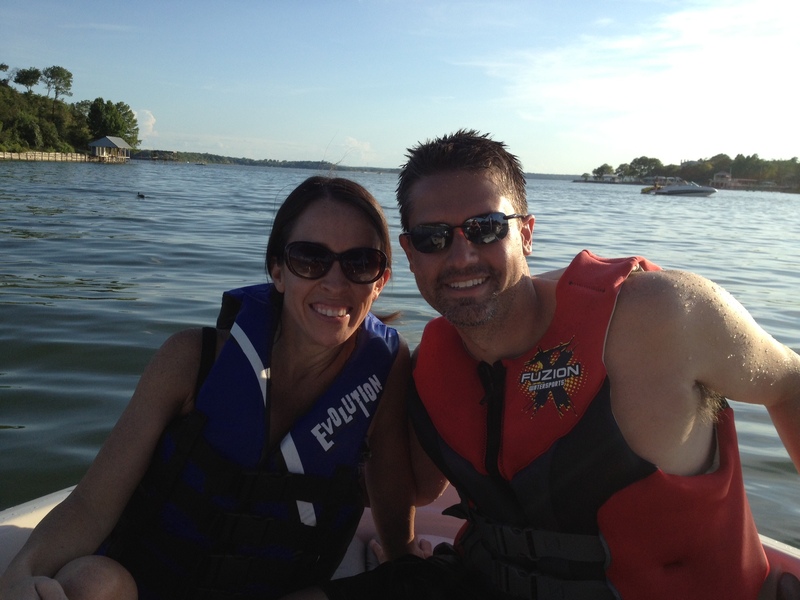 We got to spend a day at the LAKE! Our sweet friends the Strzinek’s invited us to hang out with them one afternoon. 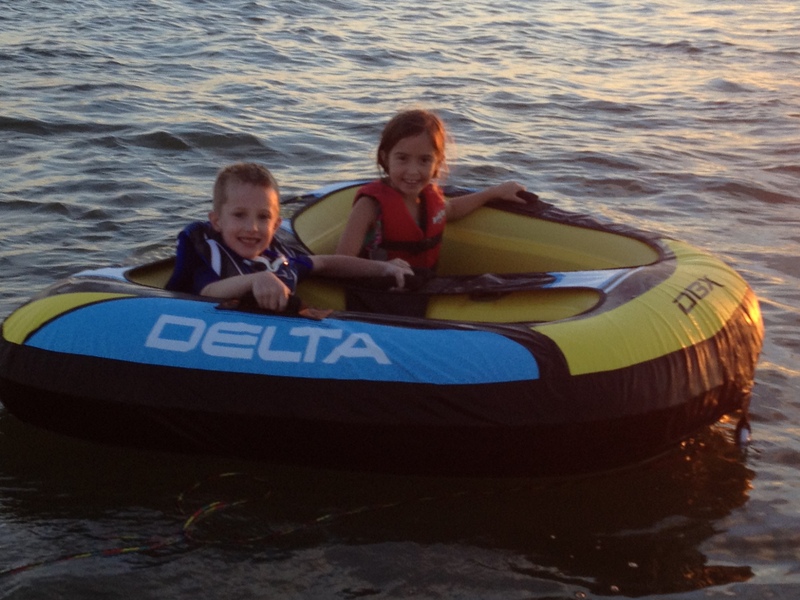 This was Carter and Caroline’s FIRST time to the lake. 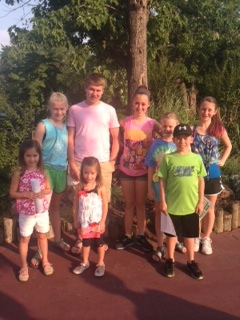 To say they were excited would be an understatement! 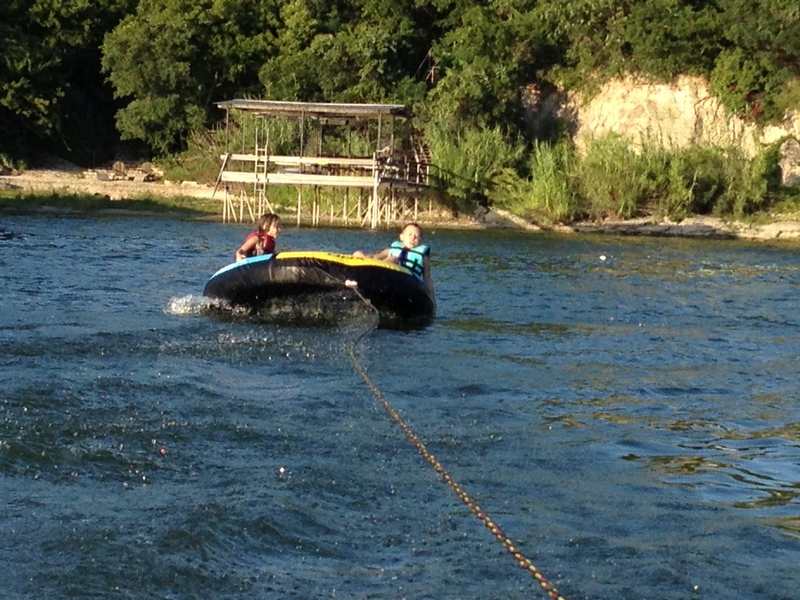 Ben, Carter and Caroline tubed and I skied.